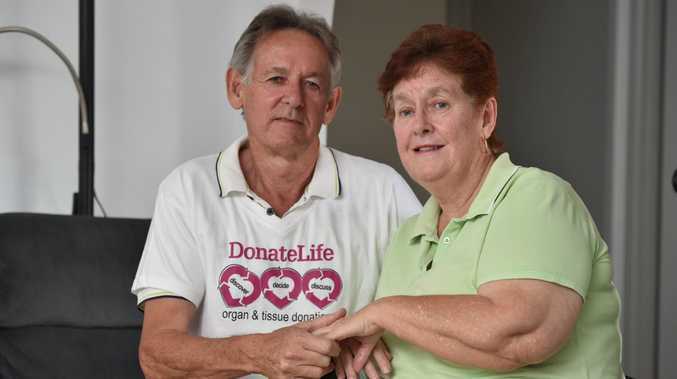 SIX years ago, Hervey Bay resident Christine Brown received the gift of a heart which saved her life. She was aged 57 when she got a heart transplant. Pains which started off as heart burns, later turned out to be a cardiomyopathy. About two years prior to the transplant, the heart burns began to develop. An unexpected heart attack shortly followed. "The doctors put me into an induced coma for four days," Mrs Brown said. "My family was called as I had only 8% of making it." Mrs Brown did eventually wake up but said something didn't feel quite right. Not long after, she was put on a list to receive a heart transplant. The whole procedure came completely unexpected for Mrs Brown, and said it really can happen to anyone. "I always felt I had a healthy busy life; I worked and played heaps of sport," she said. "Years later now, with the new heart, I feel great. "I go and get checks about every 6 months." Now along with husband Allan, the pair is spreading awareness about the importance of becoming an organ donor. 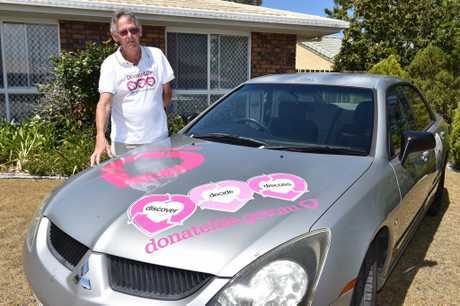 They have transformed a car into an ambassador for organ donating. The car will soon be going all throughout the Wide Bay region. "The biggest misconception is that whether you are a donor or not, depends on what is on your license," Mr Brown said. "To be a donor, you need to be on the Australian Organ Donor Register. "We'll be going around the Wide Bay and reminding people to put their name on that list. "You can practically put down to donate any organ or tissue, and make sure your family is aware of your decision." Keep an eye out for their decorative vehicle as it makes its way on its tour. 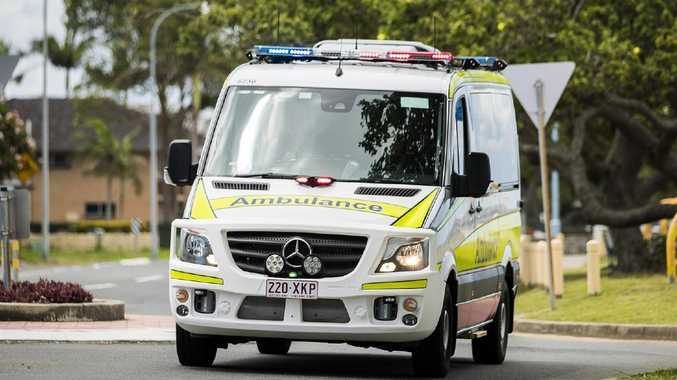 With heaps of information on donating on the vehicle, don't be afraid to walk up to it and have a closer look.